Cockatoos need room to spread their wings. Though people adopt and purchase animals with the best of intentions, sometimes circumstances demand that a new home be found. Cockatoos are special birds with a specific set of needs, and finding the right home for one can be a long and complicated process. However, thanks to rescue organizations and the Internet, it’s easier now than to give your cockatoo an amazing new home. What’s important is taking the time to ensure your cockatoo has a long, healthy life wherever he happens to end up. Reach out to friends and family. 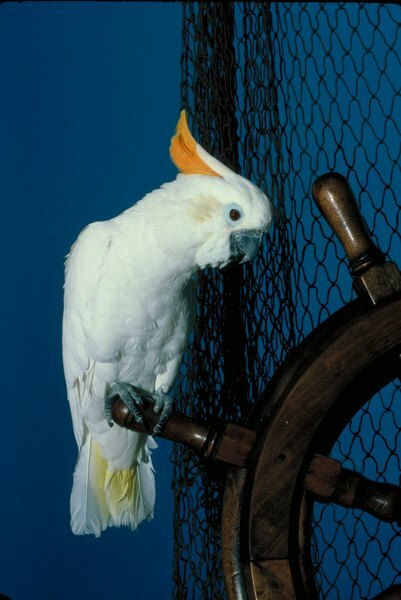 Your closest network of people will provide a number of possible homes for your cockatoo, and interested parties will have already been vetted by existing social connections. Check with local rescue organizations and specialty pet stores. Many offer rehoming services for birds and other pets, and working with an existing infrastructure can make it easier to find a quality home for your feathered friend. Use the web to your advantage. Classified websites are an excellent place to post a listing for your bird, and numerous bird-specific forums exist. All can be leverage to find people interested in giving a bird a new home. Post flyers at pet stores and other community spaces. Flyers and posters are old-school, but are more effective than you may think. Always conduct careful interviews and ask to perform a home visit before giving up your cockatoo to someone you didn’t previously know.